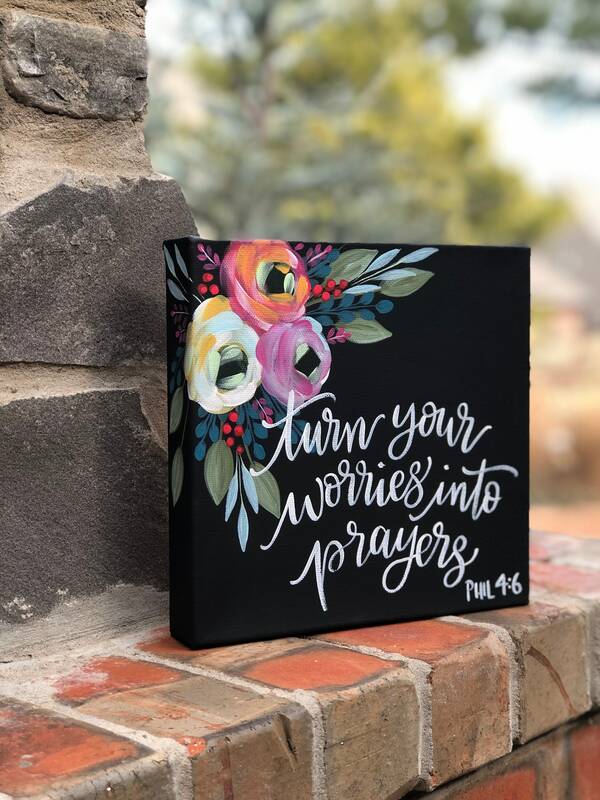 This hand painted chunky shelf canvas measures a standard 8 x 8. 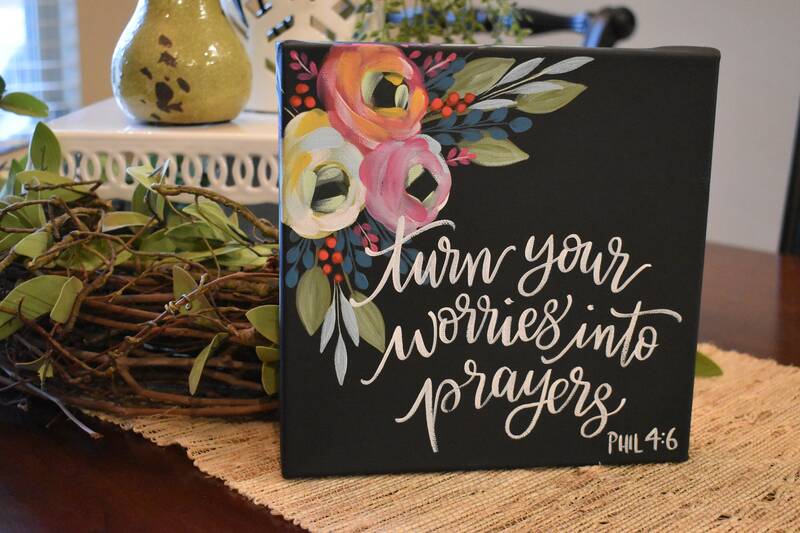 This canvas is perfect to embellish any shelf decor. Based in black with hand brushed lettering in white. Florals are added in a colorful mix of pink, tangerine, mint, red, golden yellow and jade green. Foliage is added in shades of olive greens. Florals wrap around the edge of the canvas. 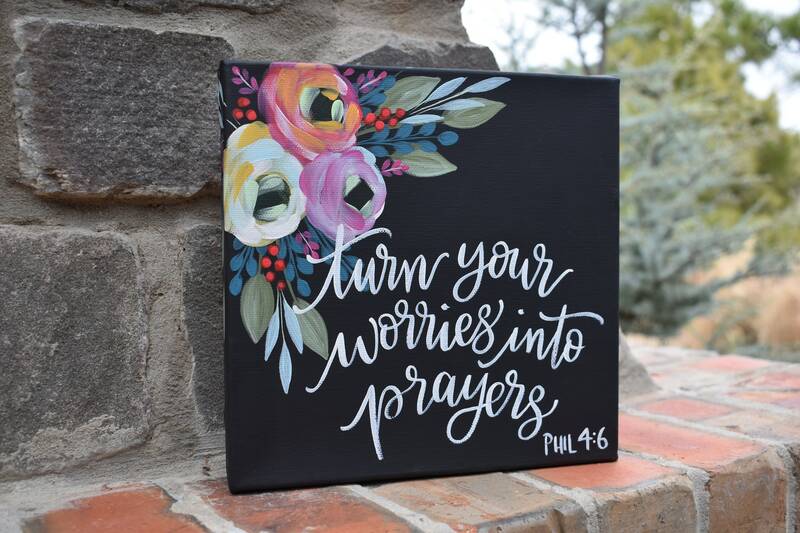 Love this design but want a different floral color or verse? 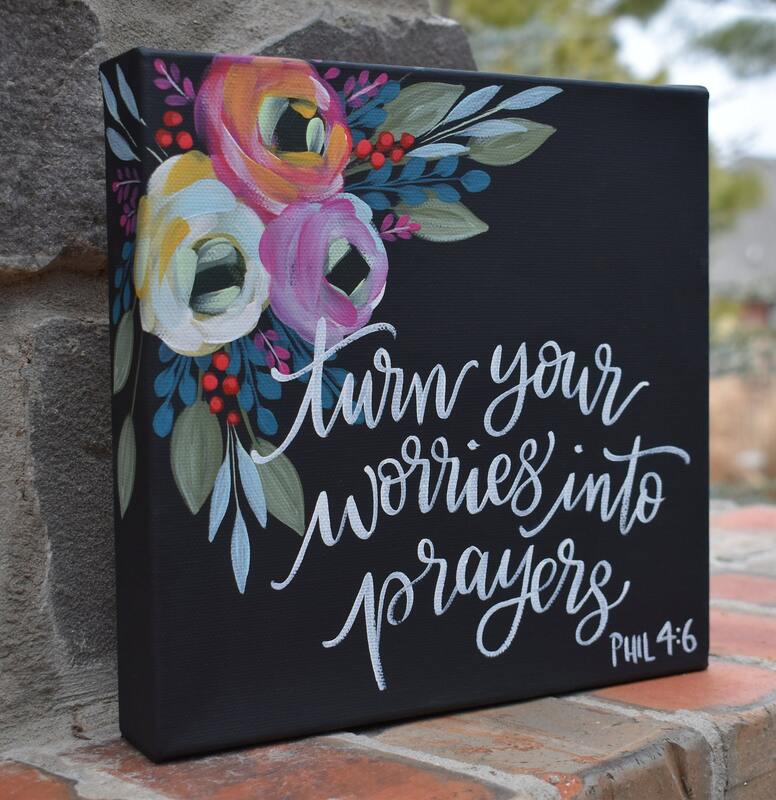 Simply message me and we can work out a custom color palette to match your home decor.